Mercedes-Benz of Gainesville will go to great lengths to make your dreams of luxury vehicles come true. Many Gainesville-area drivers want to drive away in a Mercedes-Benz, but they’re not sure how to make it happen. That’s where our finance center comes in. We can work with your situation and determine whether a car loan or a car lease is the best option for your situation. When we’ve worked with you to determine which option is right, we’ll work with financiers to get you the best terms possible. Our Mercedes-Benz finance center is staffed with the most knowledgeable and well-connected auto finance professionals to ensure prospective Mercedes-Benz owners can get the best loan terms. Come in today and we’ll do everything we can to help you drive away in a new Mercedes-Benz. Leasing a luxury vehicle from Mercedes-Benz of Gainesville may be the right option for many Gainesville-area drivers. There are several potential benefits that local drivers can enjoy when they lease a Mercedes-Benz automobile from us. Leasing a car usually results in lower payments than financing a car. Also, leasing a vehicle makes it easier for drivers to get into another Mercedes-Benz car or SUV when the terms are over. Finally, a car lease is great for drivers that don’t put very many miles on their vehicles. The financing professionals at Mercedes-Benz of Gainesville are standing by to inform you of the best car lease option for your situation. Meet with us today at our Gainesville location and learn more about leasing your dream Mercedes-Benz automobile. 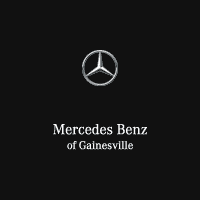 Mercedes-Benz of Gainesville is known throughout the Gainesville area for offering fair value on trade-in vehicles. Many of the vehicles that our customers trade in are from other luxury automotive brands, but we are also happy to make a fair trade-in offer on vehicles from all major manufacturers. Our website has a trade-in calculator that makes it easy for drivers to see how much their current vehicle may be worth if they trade it in at Mercedes-Benz of Gainesville. Once Gainesville-area motorists have received a trade-in estimate, they’re welcome to bring in their current vehicle to our dealership. Be sure to bring in your trade-in estimate from our website when you bring your current car in. We’ll inspect your vehicle and make a reasonable final trade in offer. The trade in value can be applied to any New, Certified Pre-Owned or Used vehicle in our inventory. If you prefer, we may also be able to simply purchase your vehicle at a fair price. Swing by the Mercedes-Benz of Gainesville showroom today with your current vehicle and we’ll ensure that you get a fair trade-in value. Upgrade to a Mercedes-Benz vehicle today. Not only does the Mercedes-Benz of Gainesville website offer a trade-in calculator, it also allows motorists to begin their financing applications. This application gives drivers the opportunity to select the vehicle they want and input their personal info to get pre-approved. For final approval, simply come into our finance center and bring your pre-approval paperwork with you. Our financing professionals will be happy to help you complete the financing process as efficiently as possible. Visit the Mercedes-Benz of Gainesville and begin the financing process today. Your dream luxury automobile is closer than you think. Drivers in Ocala, Orlando, The Villages or elsewhere in the Gainesville area are welcome to visit Mercedes-Benz of Gainesville today. Our finance center is staffed with experienced and connected professionals that will help you find the right car loan or car lease option for your situation. Come in today and we’ll do everything we can to make your automotive dreams come true. Mercedes-Benz of Gainesville offers a pick-up and delivery service that separates us from other luxury dealerships. If you schedule a service appointment, we’ll have a driver deliver a loaner vehicle to your location and drive your vehicle back to our service center. When the service is over, we’ll deliver your car and retrieve our loaner vehicle.